Maxine Cortelyou Lakin and the late Charles Austin “Chuck” Lakin, Phoenix, are known as devoted volunteers and philanthropists. Both are University of Arizona graduates and their alma mater established the Lakin Family Plaza on the University of Arizona campus which honors the Lakins for their outstanding contributions to agriculture, preservation, education, community, and business in Arizona. Chuck Lakin was a United States Army veteran who served with distinction in the horse cavalry in the China Burma India Theater during World War II, rising to the rank of first lieutenant and earning the Purple Heart and other commendations. 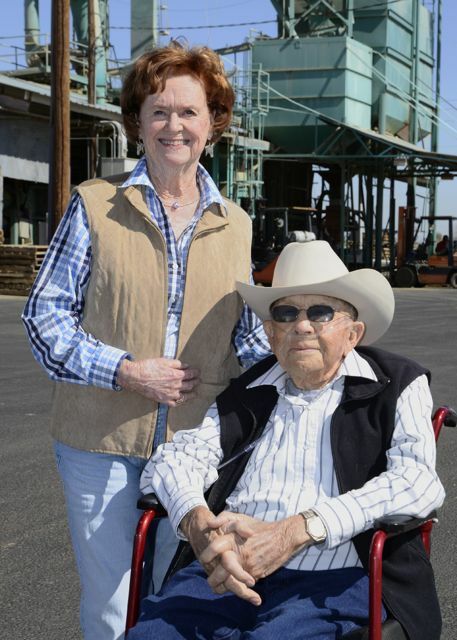 Returning home to Arizona, he dedicated his life to working in and supporting the agricultural community. He was a horseman, cattleman, farmer, inventor and cowboy poet, who founded Lakin Milling Company in 1960. Maxine Lakin is an indefatigable community leader, volunteer, and determined preservationist. She is a member of the Junior League, Save Our Mountains Foundation, and Phoenix Zoo auxiliary board, to name a few organizations to which she belongs. She has received numerous honors and continues to faithfully serve our communities.